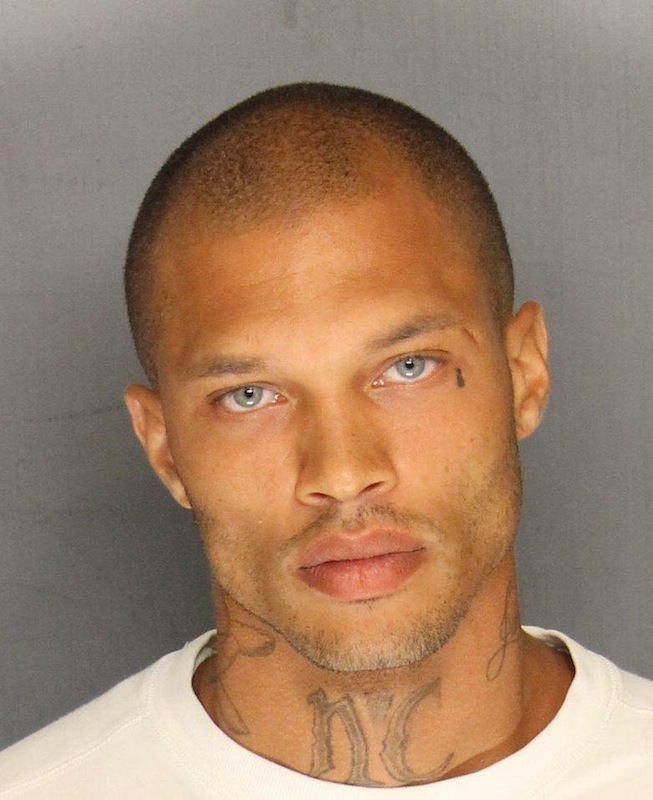 We're willing to admit we've perused hot & busted, a tumblr dedicated to mugshots of attractive men. And we're not ashamed because some of those guys are really handsome. But no mugshot you could find on that site can compare to Stockton, California's Jeremy Meeks', which went viral because, well, boy is foine. Swooning yet? Pump the breaks, because he's a convicted felon and alleged gang member, now back in jail on felony weapon charges, for which he is currently pending a second conviction. He previously served nine years for grand theft auto. It is for this reason that a lot of people have been wagging the finger at the attention he's been getting, saying that he's being put on a pedestal for his looks. Needless to say, Jeremy Meeks is a guy who probably had a tough upbringing which eventually led to a life of crime and in his words, he's done stuff he's "not proud of." Of course, we should care that he's not someone you'd ideally take home to mom. But your eyes can't deny those cheekbones, those pillowy, perfectly-shaped lips and those ice gray eyes. The guy's got a look. And it's very editorial–and I wanna stare at it for hours. That's a face (and maybe body) that could sell some clothes. Sorry I'm not sorry. While we all hope he is punished in a manner fitting for his crime (never a guarantee under U.S. Justice System), maybe when he gets out, some agency will offer him a modeling contract? Whisk him away from a life of crime to the Paris runwa–ugh, there I go glamorizing him. He's not a model citizen, but Jeremy Meeks is out-of-control gorgeous–and that's OK! You don't need to condone his lifestyle to appreciate his beauty.